We are indulged in offering the finest quality Self Loading Transit Mixer Machine. Concrete Transit Mixer are designed and manufactured for transporting concrete mix from concrete batching plant to the construction site of canals, bridges, highways, dams, buildings, factory sheds etc. We are engaged in offering a wide range Transit Mixer, which are known for accurate design and high performance, and are fabricated using premium quality material. We are manufacturers, suppliers and exporters of Transit Mixers of International Quality standards. The products are made of High grade components which require low maintenance and are Hassle free in performance. These mixers are made of advance designs and are of highly durable natec. AMCL started production of transit mixers in technical collaboration with M/s. ShinMaywa Industries Ltd. Japan. 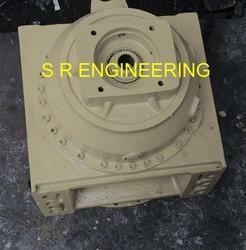 We are one of the reputed organization engaged in providing superior quality transit mixer (9 cubic meter series). These transit mixers are good demand in the market due to high quality and durability. These products are available in market at competitive rates. We have developed a machine which is very helpful in executing Civil Projects. I would like to brief the product features and benefits here. - Manual Loading, Mixing and pouring. 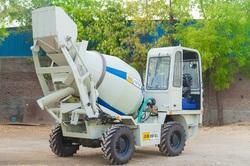 - Easy Concrete handling . - Cost effective and Multi utility Solution. The CM Series is the solution for transit mixers. Boasting an extremely well tested on-field operating life, these gearboxes are available in three different sizes to perfect fit every needs from small to medium small transit mixers.